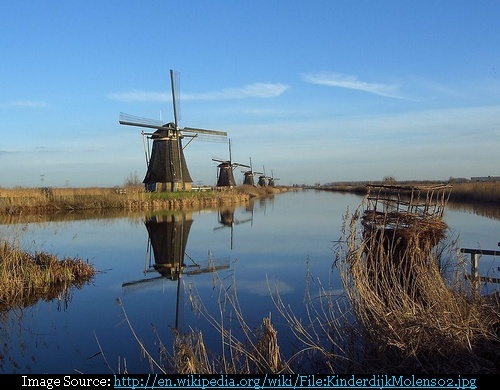 Kinderdijk, a village in the Netherlands, boasts of the largest collection of old windmills in the world, where 19 of them can be found, nicely lined along waterlines, in an area of a couple of square kilometres. 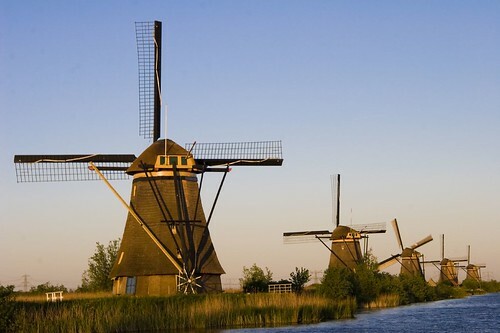 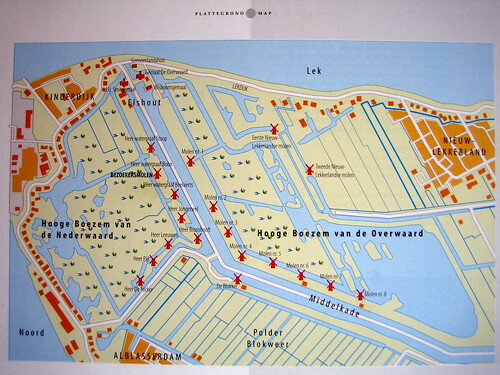 These windmills, included in UNESCO's list of World Heritage Sites, were built around 1740 as a part of flood control in these parts of the Netherlands which are below sea level. 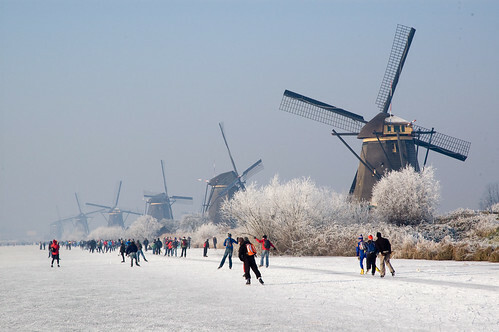 The place is also very popular in cold winter when several thousands persons ice skate here in a day. 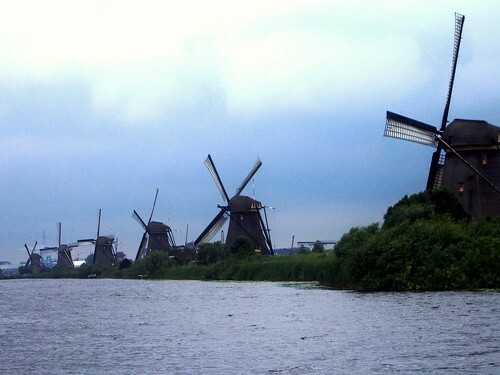 Credits: Special thanks to Peter (aka Piotr_H) for suggesting this place and giving information about it.